Jesse opened the door, feeling guilty about trespassing. It creaked as she pushed it open. Stepping inside, she shut the door and turned, peering around the gloomy interior of the caboose because the sun still hadn’t risen above the carpet of evergreens on the slope above where it sat. She spotted a propane gas stove, a table with two simple, carved wooden chairs nearby, and a bed at the other end of it. In the middle of the car was a kitchen sink and opposite the sink was a long leather couch. To her delight, there was also a rocking chair and an overstuffed leather chair that probably housed a lot of field mice, the stuffing looking like popcorn along the thin, separating seams of leather. The couch was long enough to sleep on and was a possibility because the mattress on that bed looked very old and needed to be replaced. But she considered it a far better upgrade to her tent. It was dusty and dirty, mouse pellets scattered here and there along the dulled oak floor. Some parts of the oriental carpet had been eaten into, probably by mice who took those fibers to make a warm nest somewhere else in the car. Walking to the other end of the caboose, she saw that the bedroom was roomy with a full-sized bed in it. A few blankets that were probably once folded at the bottom were now open and spread haphazardly across bed. Some of the drawers were partially opened, and appeared to be empty and in dire need of some deep cleaning. This caboose could become a good place to protect her from the coming winter, and she could buy a tank of propane to keep the boxcar warm instead of freezing to death from hypothermia in her tent. Not wanting to think about her downfall during the last year she had been in the Army when all her hopes and dreams were smashed and shattered, Jesse walked toward the center of the caboose and studied the ivory colored Formica counter that surrounded the double aluminum sink. This was a place that could be cared for once again. Brought back to life. Seeing herself in the same condition as this boxcar made her want to stay here and use it as a place to begin to heal from her recent past. The last year of her enlistment in the Army had turned into a nightmare, because she’d been out of control, unable to fit in and be ‘normal’ in order to perform her duties. She mentally calculated her weekly salary and compared it to what a tank of propane gas would cost, plus having to buy food, and needing a source of water in order to survive. The numbers churned in her head. Maybe some blankets and a pillow would be a nice addition as well. She’d seen a Goodwill store in Hamilton that would be the perfect place to pick up used bedding. Her parents had wanted to give her money to survive on until she could get a good job and manage her life once more, but she’d refused it. They had worked hard for their savings and Jesse didn’t want to steal from their nest egg meant for retirement. Maybe she could call them in a couple of weeks if she could keep this new job and ask for a loan. And then she would pay it back or else. Jesse had never taken a handout in her life. She’d always worked hard for everything she’d earned, just like her parents had. The morning light filtered in through the windows of the caboose, illuminating the interior. She could see the electric lights along both walls, sconces that still had a hurricane lamp in each of them–dirty but still looking usable. There were no electric lines out here and she looked around for a generator outside somewhere, but saw nothing. At another time, there must have been one because the sconces would only work if there had been a generator present. Besides, even if there had been one, she couldn’t afford to pay for the gasoline needed to run it. And she didn’t have any wheels. She had to walk everywhere, no matter what the weather did around her. Still, she felt a trickle of hope because the oak tongue-and-groove ceiling looked solid–there were no leaks along it to indicate water had gotten inside, and that was good news. Stepping carefully to the meadow-facing side of the car, she grazed one of the windows with her fingertips. They were in dire need of a good cleaning and the insulation around the frames needed to be replaced so heat wouldn’t leak out and make the car drafty. The tatty old red and yellow Oriental rug beneath her boots was smudged with dirt and hadn’t been swept for a long, long time. She looked around and spotted a long, vertical door near the kitchen table. Going over to it, she opened one side panel of the door. To her delight, there was not only an ancient looking broom, but dust clothes hanging off hooks, a mop, two small aluminum buckets and several usable sponges. Everything she’d need to clean up this place. She treaded lightly, her Army boots heavy and clunky, the floor creaking here and there. Jesse closed the closet door, turned and simply absorbed this small, comfy looking place. It could truly become a temporary home for her. Her eyes adjusted to the low dawn light, and she realized this was more than a fishing and hunting cabin. The small kitchen table against the wall was still covered with a dusty red and white checkered tablecloth. A pair of cut glass salt and pepper shakers stood in the middle of it. On a shelf above the kitchen sink, she saw dust-laden, brightly colored Fiesta dishes. To her right, were more shelves that held a set of bowls, a couple of aluminum pans and some cookbooks. Jesse liked the feeling in this caboose. It truly had been someone’s home once. The person probably lived here full time, her intuition told her. Maybe years earlier it had been a warm, cozy house, but now, it had been abandoned for some unknown reason, no longer loved and cared for. She wondered who had made this caboose his or her home. She liked the small bathroom next to the bedroom. There was a shower stall in there as well as a Formica counter with an aluminum bowl in it. The caboose was forty feet long and ten feet wide: four-hundred square feet of living space. It felt like a warm nest to Jesse and she couldn’t explain why this beaten down train car suddenly meant so much to her. She managed a strangled laugh because symbolically and physically, she was beaten down, too. The inside of her looked like the inside of this car. But even in disrepair, the caboose showed the potential of what it could become if a little care and love was bestowed upon it. Was the same true of her? Could that be her outcome as well? The right thing to do was to walk back into Hamilton, locate the county Recorder’s office and find out who owned the caboose on this property. She needed to know because she wasn’t going to just move in without permission. Even though this train car was in disrepair, it was owned by someone. Maybe, if she could find the owner, she could ask them to allow her to live in it, hoping that the rent wouldn’t be very much and that she could afford it. Jesse adamantly refused to become a squatter. In her world of morals and values, one didn’t just take over a house of any kind without permission and without paying some sort of rent. She already felt guilty enough that she’d entered the place without permission. The door wasn’t locked, but that wasn’t an excuse to trespass. That wasn’t like her, but she was invisibly driven to explore the inside of it. She turned and she left the caboose, shut the door and carefully made her way down to the concrete slab where it sat. She picked up her heavy pack and unstrapped her tent—there was a lot to do today. This was her off day from work and it would take thirty minutes to walk through the woods to the south end of Hamilton. Hope threaded through her, feeling grateful that she’d miraculously stumbled upon this place. She placed her rolled up tent on the metal and wood platform of the caboose. If she couldn’t find the owner, she would pitch her tent just inside the evergreen tree line for protection from the elements and stay in it, instead. Jesse took out her phone, a gift from her parents, she located the GPS for the caboose. That information would be instrumental in locating the owner. Hitching the heavy knapsack that carried everything she owned in it, Jesse gave the red caboose a wistful farewell look and then turned away, heading into the woods to walk back into Hamilton. Glancing at her watch, she realized that she would have to locate the county seat office and wait until they opened up at nine a.m. END OF INSTALLMENT #2! Stay tuned for next Monday’s installment #3 BOXCAR CHRISTMAS on 12.18.17!! CHRISTMAS CONTEST #2 from Lindsay McKenna! 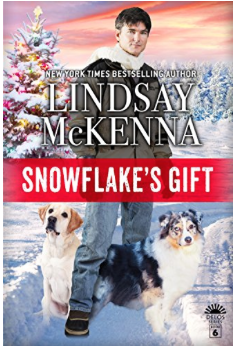 Audio tape of a Lindsay McKenna Christmas novella! Contest open to readers worldwide. Two veterans—one human, one canine—have returned to Montana to recover from the traumas of war. Former Army Ranger Nick Conway depended on his WMD dog Snowflake to help him navigate IEDs on the battlefield. Now he needs his best friend to help him cope with his PTSD and acclimate to civilian life. When he meets Holly McGuire and agrees to help her deliver meals to the needy, her inner light calls to him, but his demons hold him back from giving in to his attraction. But Snowflake takes an immediate shine to the kindhearted Holly—and Nick knows his trusty companion has never led him down the wrong path! Winner will be announced on December 016, 2017 on the Lindsay McKenna Facebook page. If you aren’t subscribed to me on this page, you will NOT miss being the winner because I’ll be emailing you as well! Just click on this link, sign up, and a winner will be randomly chosen after the close of the contest! CONGRATULATIONS for signing up! Good luck! 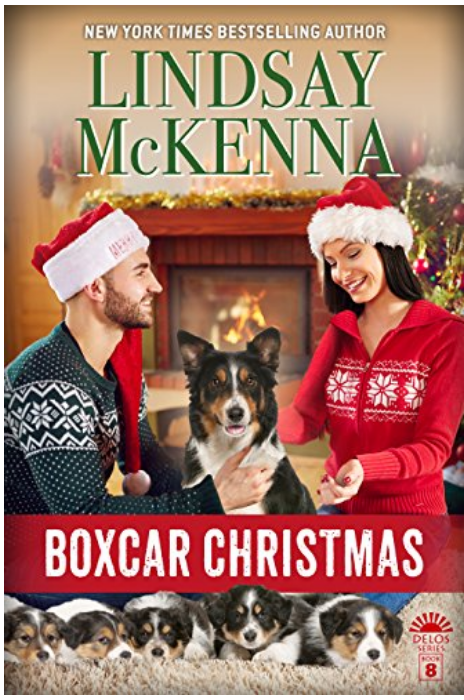 EXCLUSIVE EXCERPT from BOXCAR CHRISTMAS by Lindsay McKenna! A special series of “gifts” are coming your way between Dec. 4, 2017 and January 1, 2018 when BOXCAR CHRISTMAS is released! I’m planning a special EXCERPT from this heartwarming Christmas story once a week. Every MONDAY, look for a new except from this book! “It wasn’t much to look at. The wooden slats that made up the ancient red caboose were weathered, the boxcar sitting on the edge of a flat yellow grass meadow, backed by thousands of evergreens in western Montana. Early November wind whistled and cut at Jesse Myer’s exposed face. She felt the icy morning coldness seep through her rain dampened olive green Army jacket as she emerged cautiously out of the woods. She had discovered the boxcar while hunting rosehips scattered along the banks of the Bitterroot River. It was a source of protein for her tightened, gnawing stomach in want of food. The large, oval-shaped meadow bordered the water and the rose hips were a substantial source of food when in the back country. She chewed slowly on another one, knowing it was packed with nutrition. Shivering, she felt hope spike through her as she walked out of the woods that lay west of Hamilton, a small hunting and fishing tourist town. She had followed the river in search of a place to pitch her tent outside the city limits. Standing on the edge of the meadow, she fully surveyed it. It rained at dusk last night and then snowflakes had fallen thick and fast throughout the nighttime hours, and toward dawn the ground was covered with about six inches of the white stuff. As a gray dawn sluggishly crawled upon the eastern horizon, the flakes had turned into a soft, constant rain once more. Most of the snow had melted as the temperature rose, but patches of white still existed here and there–it was an Indian summer event. Jesse sincerely hoped that it meant warmer weather would come into the area and warm it up for a couple of weeks while she hunted for a place to live. She’d discovered the ancient Union Pacific caboose at the edge of the meadow by accident. There was no telling how old it was, the slats of tongue-and-grove wood that composed its sides were worn , the paint chipped off but still solidly in place despite the harsh winter weather that it had obviously endured over the years. There were no railroad tracks around from what she could see. The under carriage of the caboose had been removed and it had been set upon a rectangular concrete slab, reminding her of the tiny house craze sweeping through her Millennial generation. Her gaze absorbed the forty-foot long boxcar and she could see that at one time, it had been well cared for. But now, it looked utterly abandoned, the paint dull and peeling off the sturdy oak staves beneath it. Someone had brought this caboose out here. Was it someone who lived in Hamilton? Maybe the owner of this plot of land used it as a cabin to hunt and fish on weekends? Jesse had no idea, but there it was. Maybe it could be a possible home for her instead of the tent she had strapped to the huge knapsack she carried on her back. She wanted to make sure no one was living in it presently and thought about trespassing to find out–even though it went against her grain. Jesse couldn’t explain the allure to do just that. She called out several times, her voice echoing around the meadow. There was no response or movement from inside the boxcar. The four windows along the meadow side were dirty, and she longed to clean them. Deciding either no one was home or living in it, she curved her hand around the rusted metal railing at the rear platform of the boxcar and took the first tentative step upward. The ends of each wooden step curved upward from age and now rested precariously on the metal frame beneath each one, the nails pulled out by rain and snow over the years. The step groaned. Not that she weighed that much. In the Army, she had been a hundred and sixty pounds; but three months ago, when she received an honorable medical discharge at the end of eight years of service, she had slowly lost at least twenty-five pounds due lack of appetite and no money to buy food. Her Army jacket, the only reminder of her life since age eighteen, hung loosely on her frame. Stay tuned for more exclusive excerpts from Boxcar Christmas! 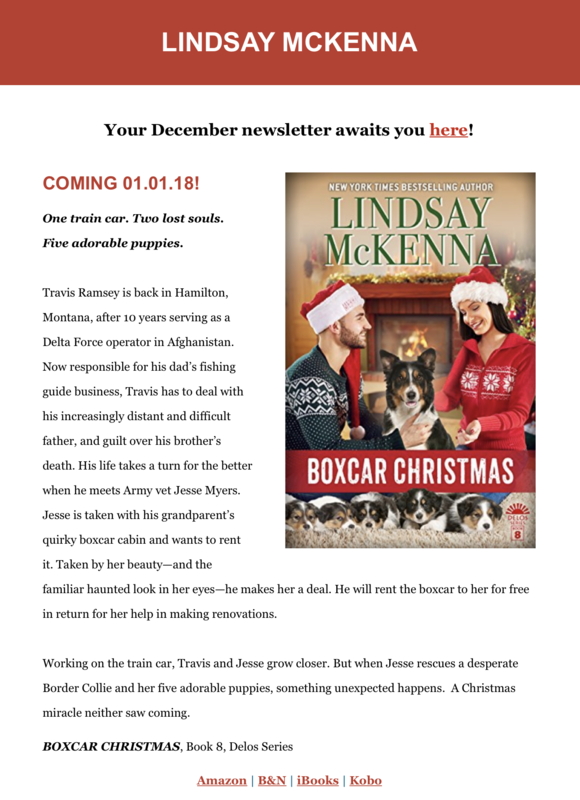 Visit: http://delos.lindsaymckenna.com/book/boxcar-christmas/ and click on “BEHIND THE STORY” of why I wrote this Holiday novel! Enjoy! Many of my readers always ask me: “Where did you get that idea?” Well, most of my “ideas” come from real life….read on! 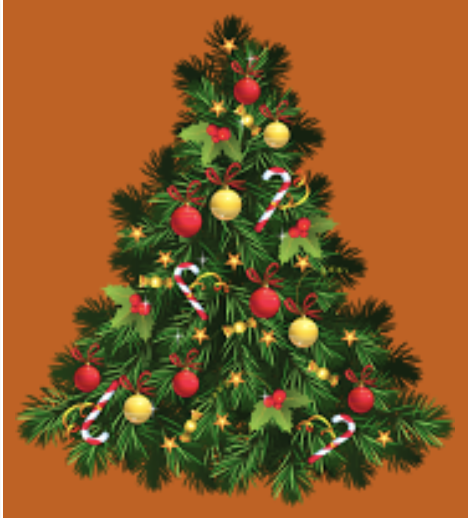 I’m working on BOXCAR CHRISTMAS, my next Delos Holiday story. Last year I tried SNOWFLAKE’S GIFT and it was a huge seller. Everyone loved it and so I thought I’d try it again. One train car. Two lost souls. Five adorable puppies. Travis Ramsey is back in Hamilton, Montana, after 10 years serving as a Delta Force operator in Afghanistan. Now responsible for his dad’s fishing guide business, Travis has to deal with his increasingly distant and difficult father, and guilt over his brother’s death. His life takes a turn for the better when he meets Army vet Jesse Myers. Jesse is taken with his grandparent’s quirky boxcar cabin and wants to rent it. Taken by her beauty—and the familiar haunted look in her eyes—he makes her a deal. He will rent the boxcar to her for free in return for her help in making renovations. Working on the train car, Travis and Jesse grow closer. But when Jesse rescues a desperate Border Collie and her five adorable puppies, something unexpected happens. A Christmas miracle neither saw coming. THE “REST” OF THE STORY!!! Most of you know I moved 22 times in the first 18 years of my life in 7 different Western USA states. My father moved us about every 9 months and he was 1/4 Eastern Cherokee. Maybe he got the ‘seasons change gene’ and that’s why. Anyway, one of the places we moved to was Blackfoot, Idaho. We were very poor and there was a red caboose train car (it’s carriage had been taken off and it set on a concrete slab) was for rent. Can you imagine 6 people living in there? The caboose was probably about 400 sq.ft. and so, it was a “tiny house” long before the word was coined. We lived there for 9 months. I loved it. We all learned to move like water around rocks (the parents) in the caboose and it worked well. It was a 10 foot by 40 foot caboose–and you might say it was a “tiny house” long before this word was coined! I loved going out at dusk because we’d get Nighthawks in huge swarms of 15 or 20 in each. The caboose was near red raspberry patch, so we got to eat our fill and get pies made by Mom, when they came into season. For years I’ve wanted to write about a red caboose, a boxcar on the trains that was at the tail end of the line. Nowadays, there is NO caboose any more. But I wanted to wax nostalgic over that wonderfully happy time in my life. In a caboose I felt safe, like a pair of arms were around all of us. I truly liked the boxcar life. EBOOK and PAPERBACK and Audio! Has any of you “out there” in FB land ever lived in a boxcar? 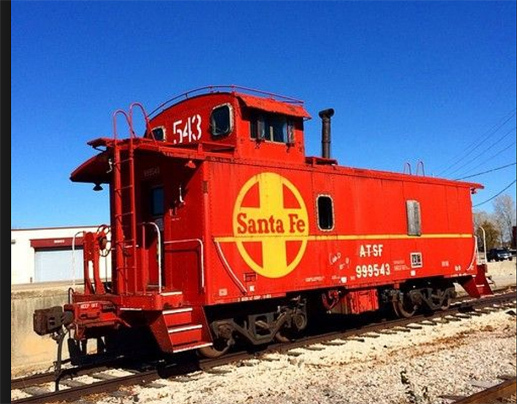 I LOVE riding on trains, and I’m sure it came from my experience with our red caboose in Blackfoot, Idaho! 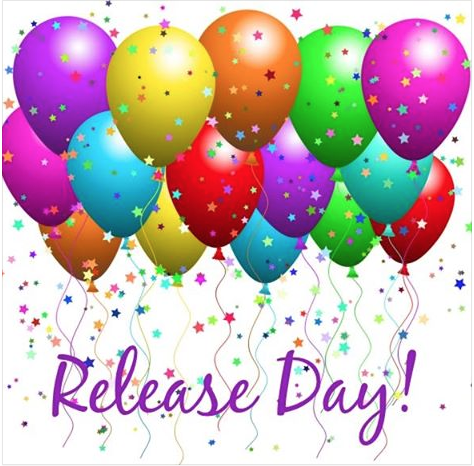 EXCLUSIVE EXCERPT from Kassie’s Cowboy by Lindsay McKenna–look below!!! 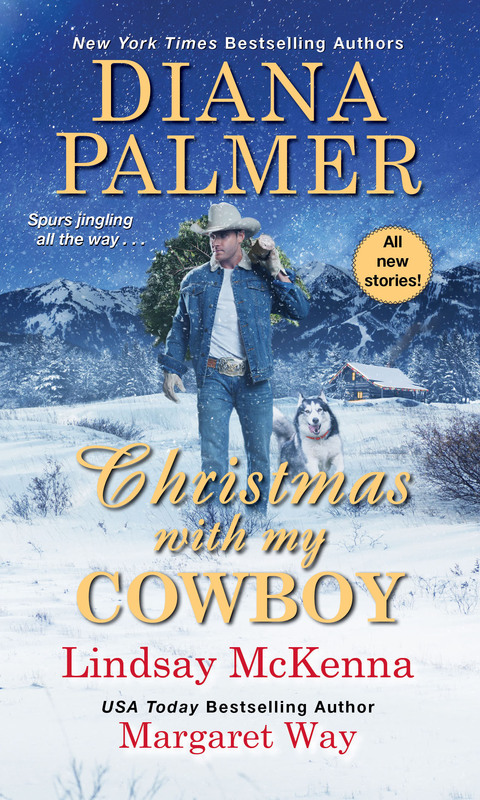 From the snowy, wind-whipped prairie to the remote Australian Outback, a cowboy’s loving kiss makes this Christmas merry and bright . . .
Meadow Dawson needs Santa to deliver a solution to her management of the Colorado ranch she’s inherited. Cattleman Dal Blake just wants his pretty neighbor’s dog to quit digging under his fence. This Christmas, the unexpected gift of love will surprise them both. A brutal blue norther is battering Wyoming just in time for Christmas when solitary former Marine Travis Grant finds his childhood sweetheart, Kassie Murphy, injured in her car just beyond the ranch where he works. For Travis and Kassie, this snowy silent night will be one last chance to put the painful past behind them—and treat the wounds only love can heal. Scott and Darcey MacArthur were the perfect couple, devoted to their life together on the family cattle ranch. With one blistering rumor, it ended in heartbreak—but Scott’s mother has a scheme that will reunite them in the Outback for a holiday that will prove it’s the season for forgiveness. A blizzard was coming. A bad one. A blue norther and a five-dayer, as Wyoming ranchers referred to the deadly weather front. Travis Grant fed his two horses, made sure all the windows were shut and the area as warm as it could be. His two geldings had thick winter coats and would weather this blizzard, no problem, in his two story, one-hundred-year-old barn. They were well fed and completely protected from the harsh, brutal elements to come. He’d also placed a heavy canvas well-padded horse blanket on each of them every night. Wyoming winters got way below zero. It was barely dawn, a lighter gray ribbon along the clogged, cloudy western horizon. Pulling his sheepskin coat collar up a little tighter around his exposed neck, Travis heard the howling of the wind slamming against the western barn wall like invisible fists pummeling the aged wooden surface. Gale-force winds would precede this blue norther, and more than likely three to six feet of snow would be dumped on the Wind River Valley as it passed through like a slow-moving freight train. Travis lived near the center of the Wind River Valley, about six miles away from where Maud and Steve Whitcomb had their hundred-thousand-acre Wind River Ranch where he worked four months out of the year as a wrangler. His cowboy boots echoed and thunked hollowly along the old oak planking. He slid the door shut to the horse barn and went into his furniture-making studio, which was right next to it. In there, since returning home from the Marine Corps and too many deployments to Afghanistan, he’d found a way to make money and deal with his PTSD instead of committing suicide, like so many of his vet friends already had. Turning on the overhead lights, his gaze moved through the thousand-foot rectangular room. It held his projects, all handmade furniture for clients who had ordered specific pieces from him. Walking across the oak floor that shined dully beneath the fluorescent lights, he trailed his fingers across a reddish-colored mahogany top of a four-drawer dresser that was closest to where he stood. It was nearly finished, the deep crimson gleam of the wood beautiful beneath his hand and the patient waxing he’d done on it all day yesterday. It was a beautiful hardwood from South and Central America. In creating furniture he’d found solace, maybe even a tiny corner of peace, by working alone in here from dawn to dusk, his anxiety tamped down, which was a godsend. Hard physical work like wrangling or creating furniture kept his PTSD anxiety volume turned down to a dull roar. He could use his woodworking tools, his hands, his chisels and sanding paper, to create beauty even though anxiety lived inside him like an angry, stalking monster 24/7/365. He meandered through the clean room, a bit of satisfaction flowing through him. The scent of the different types of wood, the organic beeswax polish he used, made him breathe a little deeper. It was like a tack room in a barn, in one sense; the fragrance of leather saddles, bridles, martingales, the neatsfoot oil and saddle soap applied to all of them from time to time always calmed him, too. In one corner he had a black potbellied that radiated enough heat to keep the studio toasty warm. Having just made the fire for the coming day’s work, Travis walked over, opened the latch, and placed a couple more pieces of wood he’d chopped a week ago into it. Shutting it, he went to a small kitchenette where he made his coffee. Recently, he’d installed a small fridge with comfort foods such as cheese, milk, fruits, and veggies he liked to nosh on. The steel double sink was a place to wash his hands and the few dishes he dirtied daily. For the next five to seven days, as this blizzard roared through northwestern Wyoming, Route 89, a north-south two-lane highway, would be closed. Wyoming simply did not have enough snowplows to quickly clear the one-hundred-mile stretch of Wind River Valley. It would take days to open it back up after the snow rapidly accumulated, so truck and civilian traffic could flow freely back and forth once more. The studio was warming up. He checked the progress on each of his six projects. Thanks to Steve Whitcomb, owner of the Wind River Ranch, his career as a furniture maker had suddenly and unexpectedly taken off. Steve was a world-class architect, and he’d invited Architecture magazine to send out a reporter to do a story on him and his master carpentry craftsmanship last year. He’d had three pieces of furniture under way at that time, trying to make a living between being a wrangler on their ranch during the summer months and creating beautiful furniture the other eight months of winter. That one article catapulted him from being a nobody to a somebody in the world of high-class handmade furniture. He was forever indebted to Steve for his support. He and his rancher wife, Maud, had already ordered and bought two pieces from him. The money was more than good and he’d been able to buy this small farm that sat along Route 89. It only had five acres, a fifteen-hundred-square-foot single-story turn-of-the-century cabin on it, a two-story barn, corrals, and a huge garden area. For him, it meant safety, solace, and finding the peace that eluded him since getting PTSD. Seeing the flash of headlights through his double-paned window, he scowled. Who the hell was out at this time of morning and driving in the imminent deadly weather conditions? The beams had turned in a full circle on Route 89. That meant someone had hit black ice and was spinning out of control. He pulled his black Stetson down a little tighter on his head, hauled on his thick elk skin gloves to protect his hands from the plummeting temperature, and quickly headed out of the barn. The wind was hard, battering against his body as he ran to the garage. He hit the door opener and waited impatiently to get to his huge Dodge Ram three-quarter-ton pickup inside. His dirt road was muddy and iced, as well. He backed the truck out, a sense of urgency filling him. Probably some stupid tourist or a person who didn’t really understand Wyoming blizzard weather, he thought as he drove slowly through the ice-covered mud ruts. They’d already gotten two feet of snow a week ago, and the plows had just finished pushing it off the sides of the highway into high white banks. There was no way he could speed down his quarter-mile driveway or he’d spin out, too. Mouth tightening, Travis saw that the car, a bright red one, had spun out and was now tipped on its side in the huge ditch next to the entrance gate of his property. Travis parked behind the gate and climbed out, seeing steam rising from beneath the bent hood. He couldn’t see who was in the vehicle because all the air bags had deployed, and there was no movement. That bothered Travis. The windshield wipers on the car were still, indicating the car’s engine was off. All he could see as he slipped and slid down the short slope of mud and snow were the layers of deployed air bags. His mind automatically began to tick off potential medical issues. As a trained recon Marine, Travis was more than knowledgeable about medical emergency situations, what to do and how to handle them. The wind, sharp and cold, tore at him, his ears unprotected, tingly and burning as they began to freeze in the dropping temperature. Was the person in this car injured? As he reached the car door, he could only see the outline of a person beneath the limp air bags. Eyes narrowing, he knocked on the window, but there was no movement. He called out. No answer. The driver could be unconscious. Double damn. Travis didn’t need this complication with a blue norther blizzard bearing down on the area shortly. There was no way an ambulance would try to make it out here from the small hospital in Wind River, twenty miles away. The first responders knew better than to drive after the road had been shut down by the sheriff’s department, according to his weather radio, an hour ago. This car and driver were probably the last to make it onto Route 89 before they closed the gates. No Wyoming person would ever go out in this kind of killing weather. He yanked open the door. It grudgingly gave way. His heart crashed in his chest. There, lying unconscious, slumped in her seat belt, was Kassie Murphy! His mind blanked out briefly as he froze, as so many images from their past–talks, kissing her, then leaving her–slammed through him. Travis shook himself out of his state, reaching in after yanking off a glove, two fingers pressed gently against the side of her slender neck, searching for a pulse. Her black hair, thick and luxurious, had swirled around her shoulders, covering part of her face. Worse, as he felt for a pulse against her carotid artery, he saw just how pale she’d become. And then, as he swiftly perused her for other injury, he saw a thin trail of blood leaking out from beneath her hairline along her left temple. Kass! No! No, this can’t be happening! Travis felt as if his whole, carefully structured world had just shattered. The woman he loved was unconscious. Injured. Available in paperback and ebook at your favorite platform! You are currently browsing the archives for the Christmas category.